The Karnataka government on Monday decided to celebrate 'Tipu Jayanti' to mark the birth anniversary of 18th-century ruler of erstwhile Mysore kingdom, Tipu Sultan, bringing the state under a thick security blanket, amid threats of protest by the Bharatiya Janata Party. The state BJP, meanwhile, has urged the government to drop its decision to celebrate Tipu Jayanti and not to stand on 'prestige' or 'ego'. "To maintain security,the DGP (director general of police) has requested for 10 companies of Rapid Action Force,as 10 battalions of Karnataka State Reserve Police have been sent for the Chhattisgarh polls. Deputy Commissioners and Superintendents of Police of all districts have beenissued specific directions," he said. "At no cost will we allow peace to be disturbed in the state. No processions will be allowed, either in favour or against...we will not permit. Jayanti celebration events should be organised indoors and posters and banners would be allowed there only, he said, adding that social media postings would also be monitored and action taken if they were derogatory. The deputy chief minister Minister also said that the event venue in Bengaluru has been shifted from the Vidhana Soudha,the seat of the state legislature, to Ravindra Kalakshetra, on advice from the police department, citing security grounds. This will be first such celebration of 'Tipu Jayanti' after Chief Minister H D Kumaraswamy led Congress-Janata Dal (Secular) coalition government came to power in the state. Calling Tipu a 'religious bigot', state BJP Chief B S Yeddyurappa said the people's sentiments and emotions against him are strong and widespread, and it is the duty of the government to honour their sentiments. Taking strong exception to Parameshwara's statement that the government would take action against those who oppose Tipu Jayanthi celebrations, he said, "We have every right to oppose what is blatantly a wrong decision and that which is against the people's wishes." "The Tipu Jayanthi celebration is a new-found strategy of the Congress as part of its politics of minority appeasement. It is rank opportunism and vote-bank politics. "If the government is so keen to honour eminent personalities from the Muslim community, we have the late Dr A P J Abdul Kalam or war hero Abdul Hamid," he added. Tipu was a ruler of the erstwhile kingdom of Mysore and considered an implacable enemy of the British East India Company. He was killed in May 1799 while defending his fort at Srirangapatna against the British forces. 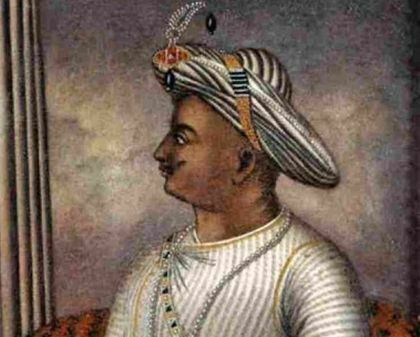 Tipu Sultan is a sensitive issue in Kodagu district as Kodavas (Coorgis), a martial race, believe that thousands of their men and women were seized and held captive during his occupation and subjected to torture, death and forcible conversion to Islam. He is also accused for execution of Mandayam Iyengars at the temple town of Melkote in Mandya district on the day of the Diwali festival as they supported the then Maharaja of Mysuru. While BJP and some Hindu outfits see Tipu as a 'religious bigot' and a 'brutal killer', some Kannada outfits call him anti-Kannada, saying that he had promoted Persian at the cost of the local language.